Robins enjoying gymnastics. They have been learning how to travel in different ways, to create a balance, to jump safely off equipment and put together a sequence of movements. Ducklings classs making the most of a snowy day while building up their fine & gross motor skills. We enjoyed incorporating PE into our day celebrating Diwali when we learned a dance using some traditional Indian dancing moves. We performed dance moves in a range of movement patterns. Year 1 enjoyed working on their balancing and flexibility skills. In Tag Rugby, the children developed their handling, passing and receiving skills as well as earning tactics for the game. We worked on these skills discretely and as part of competitions between the class. It was good to see the improvement of skills and the way in which children could review and improve their performances individually and as a team. Year 4 children have enjoyed the opportunity to develop their skills in a range of sports activities this Autumn Term. 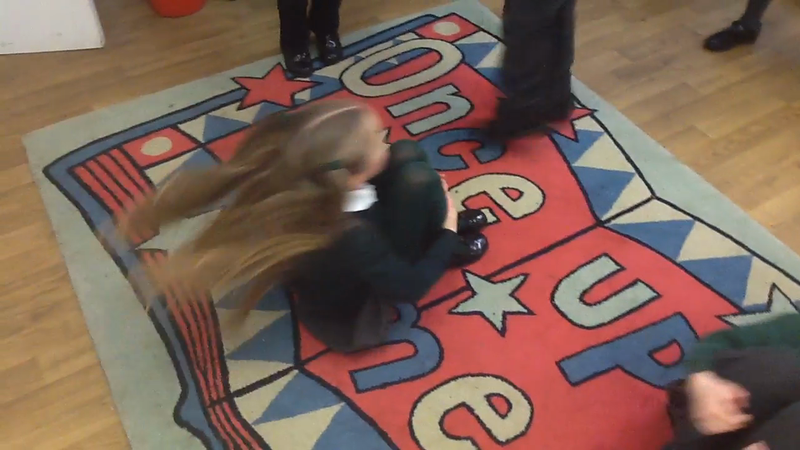 The children developed strength, balance and flexibility in Gymnastics, exploring the different shapes that they could make with their body and that are commonly used in Gymnastics. They also explored a range of ways to travel and jump, incorporating the shapes into the movements to choreograph their own routines. The children trialled some of the techniques seen in rhythmic gymnastics too, such as using balls and hoops. Nursery takes P.E. to the park! (Autumn 2, 2018). Nursery children putting their gross motor skills to the test on a recent trip to the park. They could be seen running, jumping, twisting, turning, sliding, crawling, spinning and LOTS of sliding! It was great to use our local area to enhance the children's development, a fantastic time was had by all! 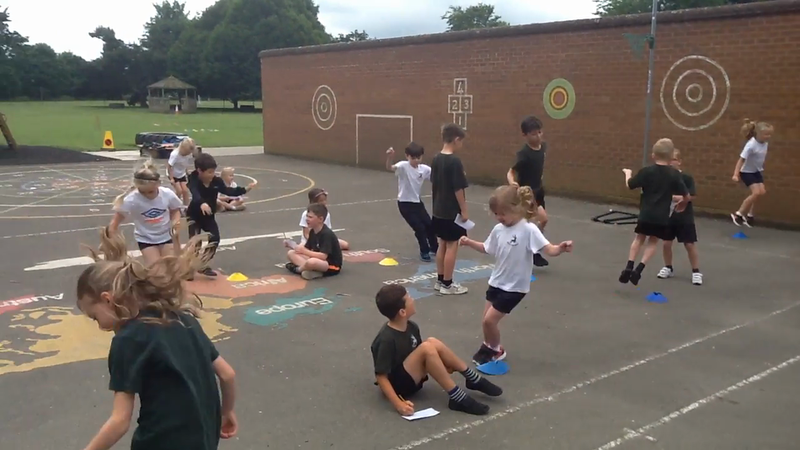 The children worked in pairs to see how many star jumps and jumps over a cone they could do in 1 minute. They had 2 attempts to try and improve their scores. 8.6.18 - Year 2's gymnasics visit from Carl! We work in pairs to come up with our own exercises and then we had a go to see how many of each we could do in one minute. We then had another go to try and improve our scores.